Things like this can make Sony rich. Photo by Steys on Flickr. On June 16, consumer privacy advocates walked out of talks to set voluntary rules for companies that use facial recognition technology. They explained that they were withdrawing from the talks because industry would not agree to critical privacy protections. I was one of those advocates. There is a growing divide in Americans’ right to privacy. As checks strengthen on government surveillance, tech companies are evading even basic limits on their ability to collect, share, and monetize your data. At the heart of this divide is an increasingly formidable force: industry lobbying. Facial recognition lets companies identify you by name, from far away, and in secret. There’s little you can do to stop it. You can’t change your fingerprints or the unique dimensions of your face—not easily. And while you leave your fingerprints on only the things you touch, every time you step outside, your face appears, ready for analysis, in the video feeds and photographs of any camera pointing your way. And there are more of those cameras than ever before. The US’s lack of data protection law is beginning to catch up with it – in fact, it has run right past it and now looks ready to lap it. To raise the necessary funds for this expensive investment, Sony will be issuing new shares for the first time since 1989, which caused an 8.25% fall in Sony’s share price. The company is planning to raise around $3.6bn through a combination of selling new shares and convertible bonds. Of the total, much of the proceeds are earmarked for investment into additional production capacity for smartphone image sensors, such as those used in Apple and Samsung products, as well as its own handset line-up. 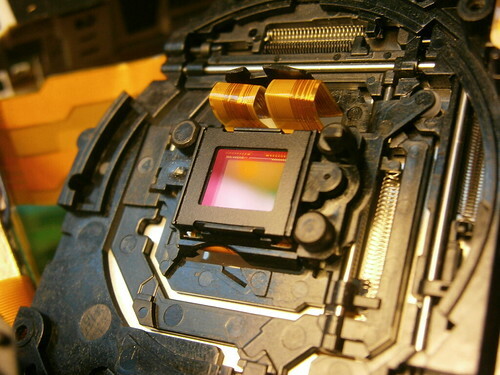 Despite high demand for Sony’s cutting edge camera modules, its current production capacity is preventing the company from maximising its revenue. A long-running fight between Apple and the Justice Department is finally over after an appeals court affirmed a ruling that the iPad maker fixed book prices. The ruling ends a long-running legal fight between Apple and the U.S. Justice Department, and paves the way for Apple to start issuing payouts to consumers in a related class-action settlement. Yelp said the new report, which it presented to European regulators Friday, could put pressure on the investigation and encourage additional research. “We believe these revelations are timely given the active inquiries into these very issues by antitrust authorities,” said Luther Lowe, Yelp’s vice president of public policy. But others said the report wouldn’t prompt serious action, saying it did not prove a deliberate effort by Google to harm its rivals. The research by Yelp instead appeared to be an attempt to “hobble” Google, he said, forcing the company to spend time and money justifying its conduct. Here’s the report. The point to note is that it echoes what Google itself found during its own internal studies; it had to change its approval criteria before it could justify the changes favouring its own services. Oh, and David Balto? As Luther Lowe (Yelp’s PR chief) pointed out, he’s been a paid writer for Google, but somehow forgot to mention it in a pro-Google article he wrote. Hyperbole and fact indeed. The GS6 is the third best-selling phone? That’s weird. Sunnebo’s data on Apple-to-Android movers only tells half the story, of course. What also matters is movements in the other direction. And we don’t know how comparable these are in volume from year to year. If you just updated to iOS 8.4 and Apple Music and are now getting an error stating “Cloud Music Library can’t be enabled”, you’re not alone. I got it too, and here’s how I fixed it… at least for now! My guess is that Apple servers are being slammed and iTunes is getting some occasional errors. So, patience and persistence wins out. Here’s what I did and how I got iCloud Music Library to work. Note: iCloud Music Library seems to be the new name for iTunes Match and/or similar features contained as part of Apple Music. “How-to” articles relate to Apple Music are going to do big business in the next few weeks. According to Helen Wong, an attorney with the FTC, investigators used consumer complaints in the case against [Erik] Chevalier [who was fined $112,000 for deceiving backers of his Kickstarter campaign for a board game] and the government agency will continue to listen to such complaints as it monitors the crowdfunding space moving forward. To identify other allegedly fraudulent campaigns that could be the next investigation targets, Forbes filed a Freedom of Information Act request with the FTC, seeking all complaints filed with the government agency about Kickstarter campaigns. It’s not known how much of a write-down Microsoft will take, as companies have some flexibility in how they account for such balance-the-books moves. Three years ago, Microsoft had $6.4bn of goodwill related to the aQuantive acquisition before it wrote down 97% of that. In its April 2015 filing, Microsoft said it carried $5.5bn in goodwill from the Nokia deal, as well as another $4.5bn in intangible assets. Because “goodwill” is the difference between the purchase price and the actual assets, tangible or otherwise, the $5.5bn, or something close to it, would be the likeliest number. If Microsoft does write off the majority of the Nokia purchase – which ultimately cost it $7.9bn by the time the deal closed in the first half of 2014 – it would be but the latest move by the company to recast the acquisition. Told you it was coming. And why it will stick with phones, despite their being a money pit.